TIN attorneys filed a Chapter 64 petition requesting that all physical evidence in his case be tested. TIN students and attorneys won two stays of execution for Bartee in 2012, but there remains physical evidence that has yet to be tested despite a 2010 court order that all remaining evidence be tested. TIN attorneys filed a habeas petition asserting that his execution would be unconstitutional because of his intellectual disability, TIN attorneys won 3 stays of executions for Mr. Bridgers as well as the right to file a successive federal habeas petition to raise the claim. That petition is currently pending in the federal court. TIN attorneys filed a habeas petition asserting that Mr. Busby received ineffective assistance of counsel during the punishment phase of trial when his trial counsel failed to uncover potentially mitigating information about his early childhood, his mental illness, and intellectual disability. Mr. Busby is currently in his federal habeas corpus appeals. Mr. Garcia is currently appealing to the 5th Circuit after losing in the district court. TIN attorneys filed a habeas petition asserting that Mr. Garcia’s death sentence is unconstitutional because of his intellectual disabilities. Furthermore, we believe that Mr. Garcia received ineffective assistance of trial counsel when trial counsel sought the testimony of an expert who claimed that Mr. Garcia was more likely to commit crimes because he is Hispanic. Mr. Griffin has just begun his appeals process. He is in the very initial stages of his state habeas corpus appeal. Mr. Hartfield was convicted of capital murder and sentenced to death. 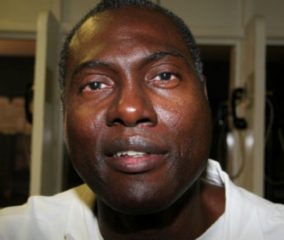 In 1983, the CCA overturned his sentence and remanded his case for a retrial; around the same time the then Texas Governor commuted Mr. Hartfield’s death sentence to life. As a result, Mr. Hartfield was sent to prison, without a conviction, where he has remained. TIN attorneys, filed a habeas petition asserting that this is a violation of Mr. Hartfield’s Sixth Amendment right to a speedy trial. TIN attorneys are currently appealing the district courts denial of relief. Mr. Lopez successfully waived his state habeas and is attempting to waive his federal habeas corpus appeals. TIN attorneys were successful in obtaining Penry relief for Mr. Mason this year because his jury was unable to consider the impact of mitigating information in their jury instructions. As a result, Mr. Mason has been granted a new punishment phase of his trial. TIN attorneys filed a habeas petition asserting that Mr. Murphy received ineffective assistance of counsel, TIN attorneys are currently in the process of appealing Mr. Murphy’s death sentence, which is currently in federal habeas proceedings. The habeas petition additionally asserted that because Mr. Murphy, who was convicted under the ‘law of parties,’ was not a significant enough participant in the crime to be eligible to receive the death penalty. TIN attorneys have filed a subsequent writ of Habeas Corpus on behalf of Mr. Pruett asserting that he received ineffective assistance of counsel and that the State failed to disclose some evidence. TIN attorneys are still pursing his actual innocence claim by appealing the denial of his DNA relief. TIN attorneys filed a habeas petition asserting that Mr. Smith might be actually innocent of his crime, and that, regardless, his sentence violates the Constitution because of his intellectual disabilities, TIN attorneys have raised several appeals to that effect. Mr. Sort’s habeas petition asserts that his death sentence should be found unconstitutional due to his intellectual disabilities. It additional claims that Mr. Sorto received ineffective assistance of counsel during the punishment phase of his trial when counsel failed to uncover mitigation information about Mr. Sorto’s childhood. TIN attorneys filed a habeas petition asserting that Mr. Ward’s death sentence should be found unconstitutional as a result of intellectual and mental disabilities. It additionally asserts that Mr. Ward’s death sentence is unconstitutional because he received ineffective assistance of counsel when his trial attorneys failed to conduct a reasonable sentencing investigation before trial. TIN attorneys are currently appealing Mr. Ward’s case through the federal courts. TIN attorneys have just begun developing Mr. Young’s claims for his federal habeas petition.